The six essays in this volume are primarily based on Japanese sources and the original research of the author. Each of them provides valuable and unique insights into the history and teachings of the martial art of the Ryukyu Kingdom, today widely known as karate. 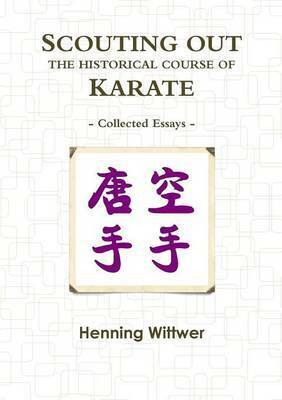 Henning Wittwer takes a deep look at the following themes: - The 1867 Programme of the Three-Six-Nine and of All Arts : A New Translation and Explanation of its Martial Arts Sections - Asato Anko - His Life, Teachings, & Descendants - Bodhidharma, Shaolin and Chinese Boxing in the Eyes of Japan's Karate Pioneers - Jigen-ryu & its Influence upon Karate-Do - The Karate of the Shotokan (1938-1945) - The Stick of the Shotokan - Considerations Concerning its History, Transmission and Teachings Karate practitioners, karate researchers, and martial arts enthusiasts, students of Japanese Studies and people with a general interest in Asian history and culture will find this book fascinating as well as interesting.